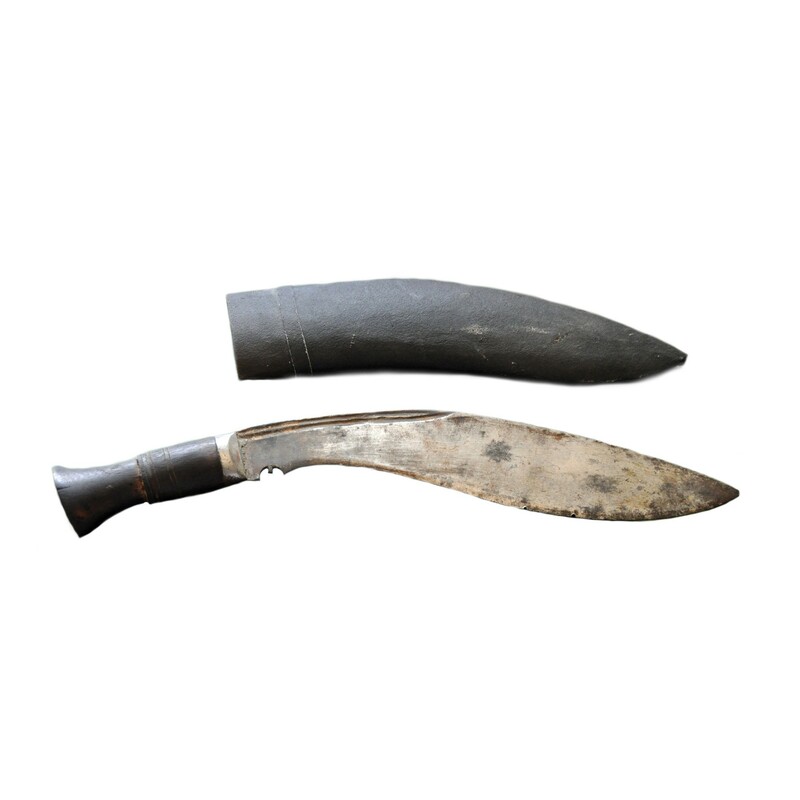 Antique Kukris are the oldest and historical Khukuris from war times, some are as old as 50 years. Most of the Khukuris are the replica of the Antique Kukris produced for the sole purpose of collection and souvenirs. Our shop has vast arrays of Antique and traditional kukris which has been passed down through the generations by the khukuri makers for hundreds of years. The Kukris itself has history written all over it, some bring moments of old time with them to this era of Peace, as souvenirs silently resting on the showcase. 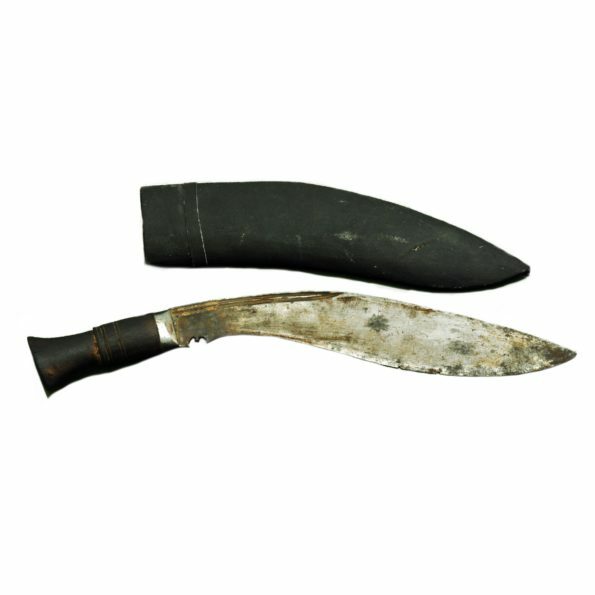 These kukri are famous amongst the Kukri Collectors. The antique Kukris display the traditional art of Kukris making. This will be a precious addition to your Collection. Blade Size and Type: 13 Inch and unpolished blade. Handle Size: 4.5 Inch and Fixed blade handle.